Former Young New Zealander of the Year and Mycare's head of community innovation, Sam Johnson, said there has been a recent surge in Waikato home support workers joining the platform. "More than 300 people in the Waikato region alone signed up during November and December. "There has been a lot of public interest recently with media reporting on the shortage of people providing home and community support throughout New Zealand." Mycare is committed to workers receiving at least the Living Wage. Hamilton resident Tegan Morris is looking for two carers to accompany her for three and a half months on her dream trip throughout the United States, tackling voluntary work, exploration and adventure. Tegan has had muscular dystrophy her whole life, but this hasn't stopped her from travelling or living out her dreams. Using New Zealand's largest community support platform, Mycare, she is looking through applicants to find the right people to accompany her. "I am looking for two individuals who love adventure and going to new places," she said. "They will also need to help me do this trip in both the physical and social sense. I'm not specifically looking for anyone with past experience — it's more important they have the personality and character to make the trip all the more enjoyable." The choice is therefore entirely the client's and based on which carers they think will best suit their personal preferences and individual requirements — from household chores, personal help and overnight stays, to the international travel needs Tegan is looking for. 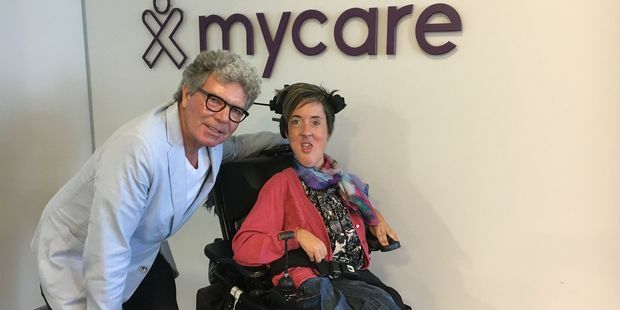 "I picked Mycare as the organisation to help me find these special people because Mycare is much easier to organise with, while still knowing that I'm going to get the best and safest carers of my choice," said Tegan. She plans to travel to America in June, starting in New York, taking a summer road trip and ending in California. This includes volunteering during her trip and talking about the life skills she has developed with children at muscular dystrophy summer camps. Tegan's trip will be funded with support from her family, friends and personal savings. She says that she very aware that many disabled people don't have the same opportunities to travel and is grateful for their assistance. Tegan's advocacy work in New Zealand has involved public speaking, education sessions around disability awareness, inclusion and empathy, mentoring and providing support to individuals and families. "At this time in my life I feel like it is time to push the boundaries. If you want to help someone live their dream and come on an adventure with me, please go to the Mycare website and apply." To apply, visit www.mycare.co.nz and search for Tegan Morris.